THE SKINNY: I love a lipcolor that feels like a balm. 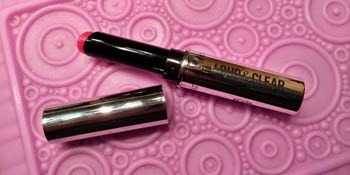 That's what you get in bareMinerals Loud and Clear Lip Sheer. The tiny tube looks like it has a lot of color but goes on with just a hint of hue and shine. Plus it's packed with feel-good ingredients -- shea butter and jojoba seed oil -- that make you think you have used a rich lip balm. Also nice is that this product is not sticky at all. Even on a windy day, my hair did not stick to my lips like it tends to do with other glosses. My lips felt hydrated for hours after use and I loved having just a hint of color. This seems like a great summer product addition. CHECK IT OUT: Check out all five shades from bareMinerals.